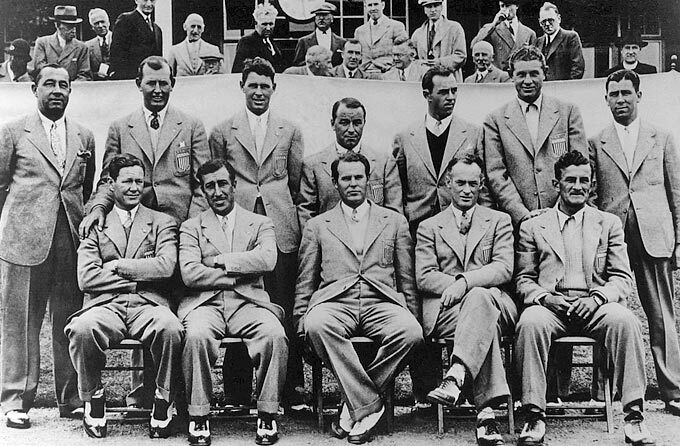 This is a very nice grouping of autographs from the 1929 Ryder Cup team including Macdonald Smith and Rare autograph of Jim Barnes Great item! 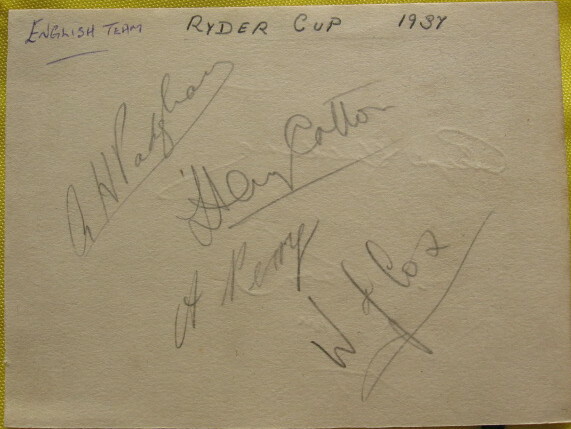 These are very rare signed pages from the 1937 Ryder Cup. 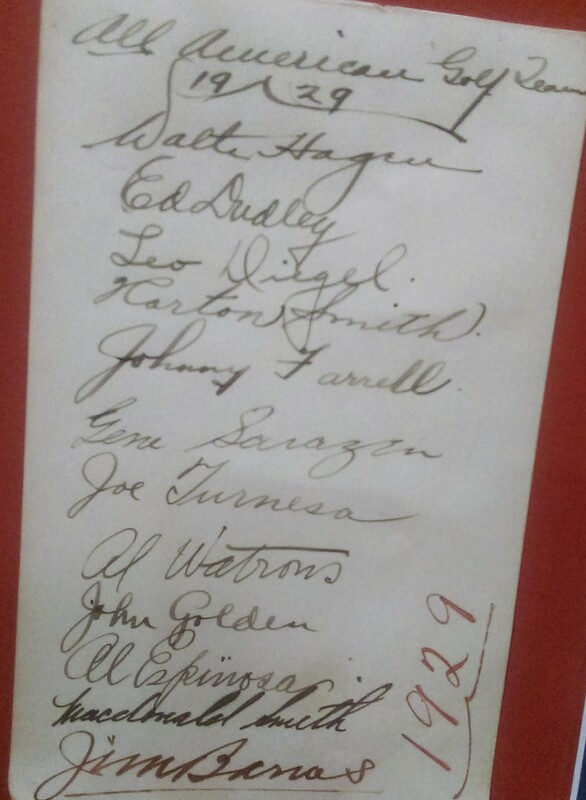 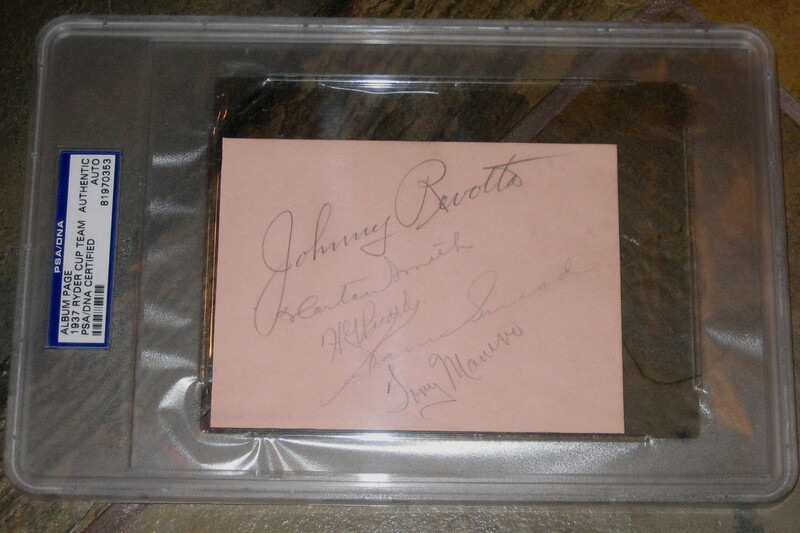 The pages includes autographs of all members of the US team excluding Gene Sarazen and Ed Dudley. 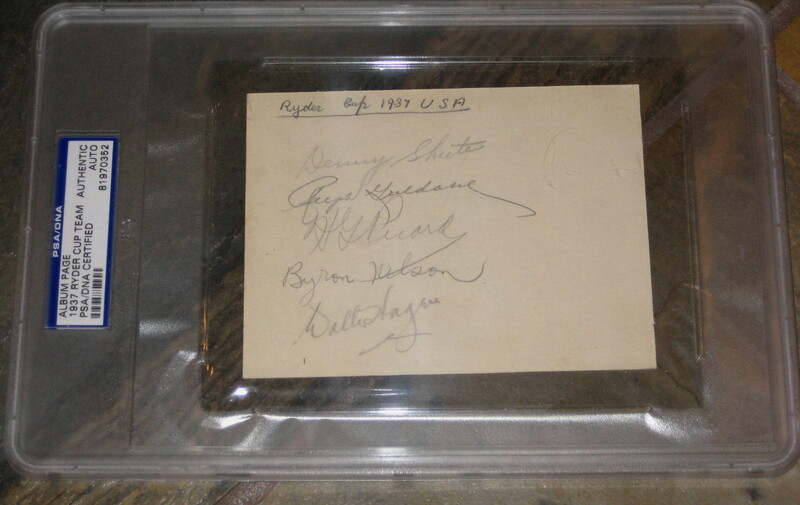 Also signed by 4 members of the English team.